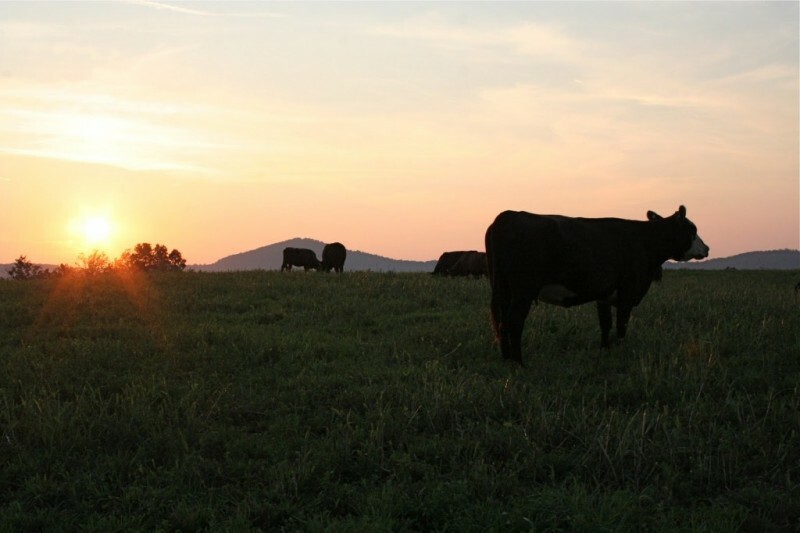 I am working on updating our frequently asked questions this week, and this is one that comes up a lot: “How do I start and/or support the local food movement where I live?” This is a tough question, especially since it is usually asked by someone in a rural area. Every community is different and it is hard to know what infrastructure already exists in your area that you can build off of. Still, I’ve talked to pretty much everyone in Kentucky doing anything for local food. I’ve set in on every lecture on this topic. I’ve conducted interviews, read books, and literally fallen asleep at night thinking about local food. My children just sent Valentine’s Day cards to the farmers that grow our food, okay? We are local food junkies, so I do feel like I can offer some small amount of advice. (1) Start with yourself. Seek out local farms and buy from them—year round, every week, rain or shine, higher prices or not. When you attend events, ask for local foods. When you go to locally-owned restaurants, ask for local food. When your group hires a caterer, demand that they buy from local farms and be prepared to pay the extra cost. Go to the nearest farmers market no matter the weather. 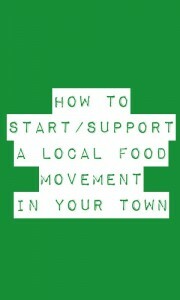 Be a local food evangelist to your friends without being too preachy. (Win them with flavor!) Take local food to potlucks and family reunions. Give the gift of local food to your friends around the holidays. Join a CSA. Grow your own, buy from a local farm, or don’t eat it! (2) Go to conferences. Kentucky has many, many local food conferences throughout the year from one end of the state to the other. Go to one, meet new people, hear what others are doing. In particular, Food Day in Bowling Green in October has an emphasis on building community around local food. Trust me, you will feel less like a lone wolf in the wilderness when you meet other people fighting the same battle. (3) Start a group. Nearly every city that has made great movement on local food has a group (or multiple groups) of citizens, farmers, government officials, etc. working (often behind the scenes) to move forward local food in their area. This is not work that can be done alone! Get the friends and farmers in your area that are interested together and brainstorm. Maybe it means planning an event or setting up at the next fair or reaching out to schools. It could be a writing campaign to the mayor asking them to donate space for a farmers market or letters to the editor of the newspaper educating consumers about supporting local farms. In some cases, it may be even more practical—swapping seeds, sharing plant starts, trading baby chicks for raw milk. (4) Prepare for a marathon. This will not happen overnight or over-year. Even for those that are pretty deep in the movement and making progress, it can feel like a losing battle all the time. I talk to people in Louisville and Lexington who are discouraged about where the local food movement is in their area, so what hope does that leave us in the rural communities? Making change is a marathon with no running involved. It is baby steps that usually mean spending more money and taking more time to source, prepare, and consume real food. (5) Volunteer at your local farmers market. Let me just say—many markets do not have volunteers and may be confused by what you are offering. But offer to do anything—pick up trash after, hang up fliers around time, develop a Facebook presence, drum up donations for a website, teach a cooking class, etc. I think a viable farmers market is such an important cornerstone of local food in any community. Read our series of posts on farmers markets to see what other markets are doing. (6) Throw a party! Have a dinner featuring local foods, invite your friends and the farmers who grew the food. Let them mingle and see where it goes. Local food is not always a chore. It is meant to be a source of friendship and community. I think it’s important to note that you really need to be involved in your community to begin with to start making these sorts of changes. Join the chamber of commerce, your local church, civic groups, etc. You can’t help people find local food if you don’t know people! I know there are many folks out there with better advice than my own, so feel free to leave a comment with your own ideas. I would like to express my appreciation for this article. As a farmer, I am grateful for the work that folks such as yourself do to further the local food movement. The highly-applicable, directed advice found in this article really does pay great benefits for those of us involved in agriculture.